You’re probably at this website because you (or your child) has been assigned to do a science project this year. This is NOT like your other school work and definitely should not be treated the same way. Doing a science project doesn’t have to be anything like school work. In fact it can be great fun if you choose a topic or project on something that’s really interesting to you like plants or food, or computers or sports? Do you enjoy roller coasters, computer games or dinosaurs? Have you ever asked yourself why something works the way it does? Do you care about the environment or forensic investigations? Science is all around you. What’s great about a science fair project is you get to create your own question – and, find the answer to it. You can do a science project on anything that interests you. You’re only limited by your own imagination! It doesn’t matter if you’re in elementary school, middle school or high school, you should go through the same process to pick a topic. The most important thing is to choose a subject that’s interesting and fun for you — and your science fair project won’t be mind-numbing like some of your other schoolwork might be. It will only become a chore if you wait until the last minute to try and get it done. If you’re genuinely interested in the subject of your science project, then your interest will come through in the quality of your project and, in your interviews with the judges. Come back and visit our web site over the next several weeks and months, as we create the step by step process to not only survive your science fair experience – but thrive with it. Next time – help in choosing a topic. School is nearly over and most of the science fairs have finished, but summer is the perfect time to start thinking about and to plan next year’s science project. To get a big head start with your next science fair project, plan to select a topic and do a lot of research on it over the summer. Your judges will be really impressed if they see the first entry in your science journal back in June or July of the previous year! And, just like athletes who work hard to train over the summer so they’ll be in shape for fall sports, science fair students who begin working on their next project the day after school gets out for the summer will have a much better chance at winning a prize than those who wait until the week before it’s due to start working on the project. Have you checked out the Mister Science Fair Facebook page lately? All year long, our Facebook page is full of useful information, advice, resources, and inspiration to create a science fair or engineering design project. It’s also the perfect place to learn about other on-line science competitions you might be interested in entering. Our Facebook page has links to stories about the winners of some of the local, national & international competitions, and information about upcoming science competitions and webinars. Many competitions release their rules and deadlines over the summer. You might even find ideas for topics on web sites such as the Kid Wind Challenge, Operation Firefly, the Green Electronics Maker Challenge, the Cybermission Challenge and the Google Online Science & Technology competition. There’s news about free online courses such as MatLab’s Modeling and Simulation class and the “Hour of Code” projects, as well as fun links to videos including the Zombie College lab safety film. As the science fair season heats up, you’ll also see posts such as the Ten Most Likely Questions to be asked by one of your judges. Facebook posts happen nearly every day. So, check us out at https://www.facebook.com/mistersciencefair – and “like” us on Facebook to make sure you don’t miss out on the excitement and opportunties! A dream comes true — Adrian wins 2nd Place Silver Medal at the Nationals! 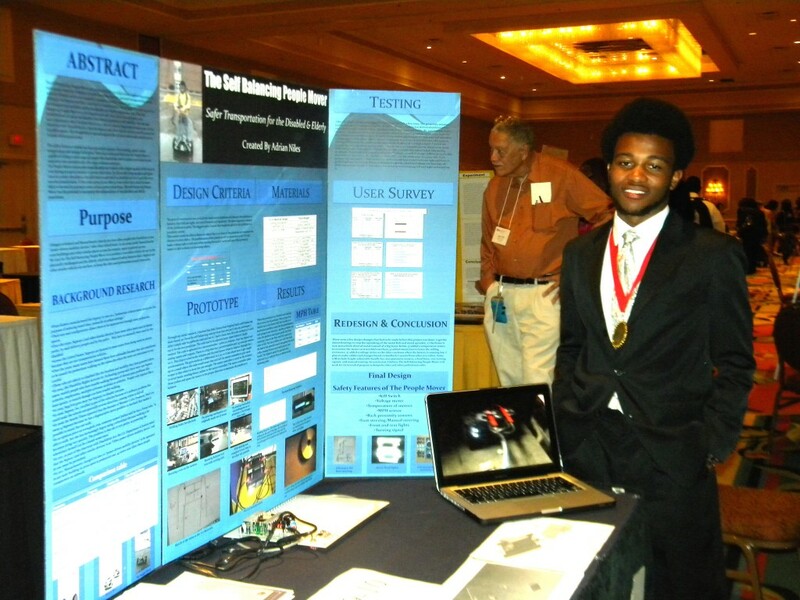 Congratulations to Mister Science Fair mentee & Boston NAACP youth science & engineering competitor Adrian Niles, who won the Silver Medal at the national competition of the National Association for the Advancement of Colored People’s Afro-Academic, Cultural, Technological and Scientific Olympics (ACT-SO) on July 14, 2013 in Orlando, FL. Adrian is a resident of Brockton, MA and will be going into his senior year at Southeastern Regional Vocational High School in Easton. Adrian’s creation of a self-balancing, two-wheel, personal transportation device took second place in the category of engineering. His vehicle, similar to the more commonly known Segway, is called the “People Mover” which he modified to include new safety features designed for ease of use by the elderly and disabled. He’s been working on this project for the last two years, and winning a medal at the ACT-SO nationals was a dream-come-true for him. ACT-SO is a yearlong achievement program designed to recruit, stimulate, and encourage high academic and cultural achievement among African-American high school students. “The ACT-SO competition is a work of love for the countless volunteers who work with these young people throughout the year to get them prepared to compete,” said Michael Curry, Boston NAACP President. Mister Science Fair hosted ACT-SO information on its web site for the Boston Branch NAACP, and our staff mentored Adrian with his project. But, observation, and the ability to focus are also both skills that are fundamental to learning about the scientific method, and something you can help your child learn. It’s never too early to start, even before your child goes to school. The first thing to do is to buy your young scientist an “Observation Notebook.” This is where they will write descriptions and draw pictures of what they see. These types of notebooks are extremely important to scientists. Really good scientific documentation in a notebook captures the development of the scientist’s thinking, how the research was done, and first impressions of what was observed by a scientist. This is as important as the data itself. Capturing data is not the same thing as observation. What made Sherlock Holmes a good detective was the ability to notice details…large and small. If you’ve never thought of it this way before, scientists are really detectives. Some of the most successful scientists in the world learned to use a notebook at a very young age. Getting a middle school and high school student to learn the importance of maintaining an on-going notebook from the very early concepts of a science fair project through its conclusion is usually a challenge, and I know many science fair students who waited until the last minute to “catch up” with completing their notebook the last few days before the competition. It’s difficult enough for students to remember everything they did for their project if they haven’t taken good notes along the way, and it’s near impossible to recall observations that may have happened months ago. This is not good science! While younger scientists may need help writing things down in their Notebook, older students usually need to constantly be reminded to do it. Pictures, photos & drawings of observations are perfectly legitimate to include but notebooks that include written observations enhance literacy skills; studies have shown that writing down observations helps to improve focus, memory and retention. Figuring out what to observe is only limited by your child’s (and your) imagination. For instance, take a walk around the house and write down or draw everything you see that’s green. Make sure you date the day of the observations and what room you were making the observations in; consider doing the same thing a month or two later so you can compare the changes. 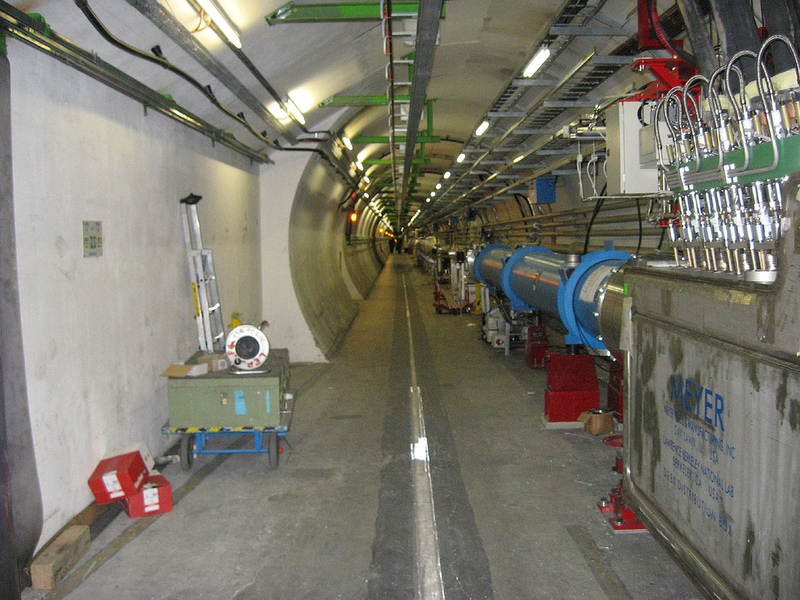 Or compare the number of green items in one room versus another. If you do the same thing on a car ride, you might want to keep track of how many blue cars you see. If you do this as a game every Saturday on the way to soccer practice, you can even chart the results after a few months to see if there are any changes. If your child likes cats, have them create a Cat Observation Notebook. While observation plays a major role in the steps of the scientific method, it’s also a skill that will help your child in so many other areas as he or she gets older. A high school science fair project…about dinosaurs! Let’s go back to what I consider to be the most important part of creating a great science fair project, and what might be the really hard part of doing a science fair project – choosing a topic. Most students dread the thought of doing a science fair project, so I really can’t emphasize enough the importance to parents of helping a child find a science fair topic that they are interested in. Let’s look at things from your child’s perspective. Unless your child likes to fertilize the lawn, a project comparing the effects of different fertilizers on sections of your lawn will be boring, uninteresting (may make your lawn look funny) and will not spur them on to enjoying the science fair experience. How about a project which compares the growth of plants when you play different types of music to them? This might be a fun experiment for your child, especially when he or she will have to play rap music every day for several weeks… loud enough to hurt your ears; but it’s been done at least a thousand times. And, unless your child is a musical prodigy and will be able to answer the judge’s questions about specific differences that may have affected the results between the various genres of music, then this might not be the best topic to choose. 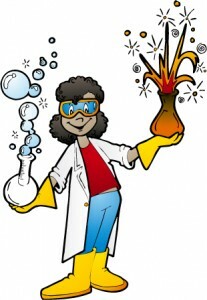 Helping your child choose a science fair project topic that he or she is interested in is important, not only for them to develop an interest in doing the project and to learn from it, but it also might be an opportunity for you to learn something about your child you may not have known before. If you have a child in elementary school, you might want to have them gather their favorite story books and sit down together to see if there are any commonalities between the themes or subjects in the book, and choose a science fair topic based on some of those subjects. With a middle school or high school child, ask questions about their interests, favorite subjects in school, or what things they’d really like to know more about like “How does a bridge stay up and not collapse under the weight of all those cars?”. Brainstorm possible project s with them. Unless you’re an expert in one of those areas, encourage your child to call or write someone who is an expert on the subject, to give them some ideas about how to narrow the idea down to an experiment. No subject area should be considered absurd. My son’s passion for all-things-dinosaurs as a 6 year-old led to a week-long Paleontology camp in Montana when he was 12. After some encouragement and advice about doing a science fair project on dinosaur eggshells from the scientists he met at the camp as well as from staff at the local science museum where he took a summer workshops on how a Scanning Electron Microscope works, he then set out to research the subject at our local university library. 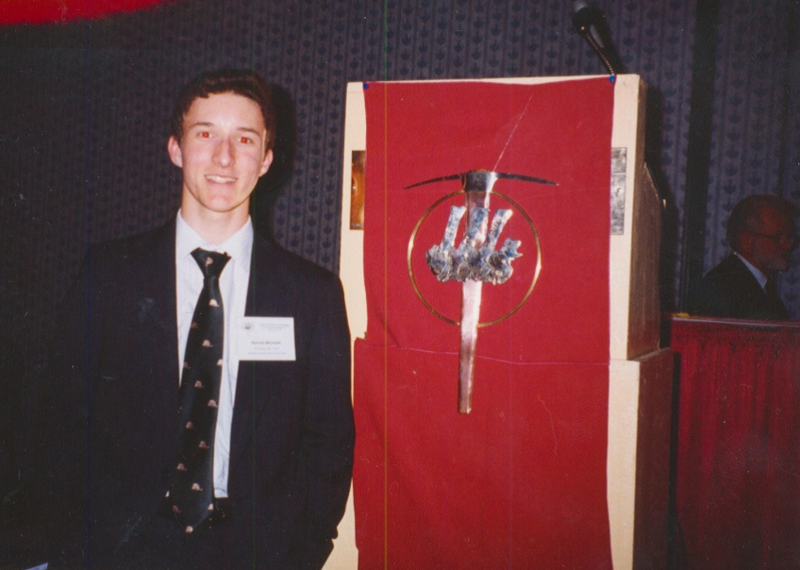 With funding from his high school physics teacher for stamps, he then wrote letters to curators of museums and zoos all around the world describing what he wanted to do with his project, and asked for samples of fossilized and non-fossilized eggshells. We were all quite astounded when he started receiving packages with pieces of eggshells, and in one case – an entire emu and ostrich egg! With eggshells in hand, and a more refined idea about his project, calls to local science equipment companies and college professors allowed him access to some incredible equipment. This eventually turned into four years of high school science fair projects comparing fossilized eggshells with those of modern day birds (he was hoping to find a missing link between dinosaurs and birds). Some of the more interesting & fun science fair projects takes time to develop (most of my son’s eggshell samples didn’t arrive for about 2-3 months after he first sent out his letters), so it’s never too early to start the process of coming up with a topic, to figure out the best way to approach the subject or, to make contacts with experts (or in my son’s case, egg-sperts) to get the guidance to make it a fun and valuable learning experience. Have you ever heard of the Nobel Prize? Since 1901, this award has been given once a year to the world’s greatest contributors to science in the fields of chemistry, physics, physiology or medicine, literature, for peace, and since 1968 in the field of economic sciences. The Nobel Laureates for this year were chosen a few weeks ago, and they will receive their prizes at a ceremony on December 10th in Stockholm, Sweden. In the past, Nobel Prizes have been given to scientists who contributed to the discovery of DNA, HIV (the virus that causes AIDS), the person who discovered x-rays, and to the scientists who discovered penicillin and how our immune system works. Albert Einstein was awarded the Physics Nobel prize in 1921 for his discovery of the law of Photoelectric Effect. Marie Curie, the first woman to receive a Nobel Prize in 1903, is the only person to win the prize twice and in two different fields – Chemistry and Physics. The road to a Nobel prize starts with people asking questions about the world around them and figuring out ways to find answers to their questions. In other words, scientists who are curious just like you, and who do experiments just like you’ll do in with your science fair project! What are you curious about? Let us know below. 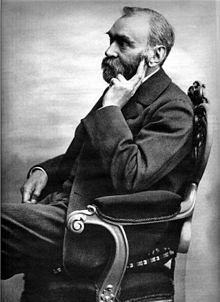 Alfred Nobel (1833-1896). Since 1901, the Nobel Prize has been honoring men and women from all corners of the globe for outstanding achievements in physics, chemistry, medicine, literature, and for work in peace. The foundations for the prize were laid in 1895 when Alfred Nobel wrote his last will, leaving much of his wealth to the establishment of the Nobel Prize. But who was Alfred Nobel? 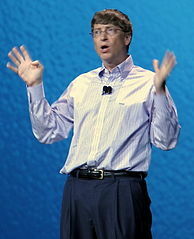 More information about the scientist, inventor, entrepreneur, author and pacifist here.